Timeless and yet on trend, linen bows are the perfect, stylish accessory! 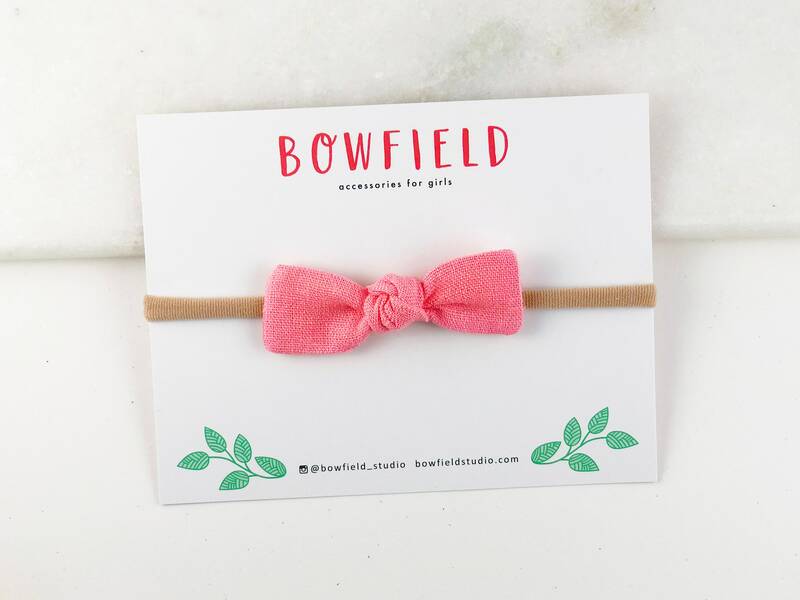 ONE hand-tied, knotted bow headband. Our nylon headbands are the best quality you can find! Soft, stretchy, but won't bag out and lose their shape over time. Our headbands make great newborn bows because they're comfortable and gentle (perfect for take-home outfits and newborn photo props)! Styling: They're oversized on younger babies and become an everyday bow as they grow.